I received an email from a friend today asking me three questions . . . here are my answers. How would you answer these questions? 1. What are 3 big challenges kids ministry leaders are facing right now? One thing we have done at Grace is brand a recruitment strategy: http://www.gcomchurch.com/85-15. Since launching 85/15, the idea of volunteer recruitment has become almost tangible. Branding a recruitment strategy helps keep a focus on the need to recruit consistently. If you are at a church with low volunteers across the board . . . that is a culture problem at your church . . . ministry leaders need to help their lead pastors and executives understand that a “church culture” problem is a problem they have helped foster and need to work with their team to deal with it. Who has the greatest impact on a church’s culture other than Christ and the staff as a whole? The individuals at the top. Pastors need to partner with ministry leaders through their messages and by allowing ministry leaders stage-time to help LEAD the people away from a “consumer” mindset to a place of empowerment that flame the fires for a church to rise up with a servant’s heart. GCC is now at this place and God is doing incredible things, but it has taken years of ministry leaders investing in their leadership. Leading up is tough . . . it takes a long time. For kids min leaders I think this is a huge challenge because we are usually pushed into the background when it comes to having a voice at the church leadership table. But lead pastors and executives need to understand that we lead the most difficult ministry in church and any kids min leader that has been effective for even just a few years has proven that they are amazing. So kids min leaders need to learn to fight for their place at the table. It won’t take long for lead pastors and executives to realize what’s up. One on One recruitment is the best way to recruit . . . but what the kids min staff and I learned is that in order to develop a strong culture of one on one recruitment within our ministry WE must be recruiting one on one ourselves. Every month my staff and I need to be recruiting at least one person on our own. Then, and only then, can we go to our volunteers and encourage them to do the same. Kids Min leaders have tons of pressure to do events outside of Sundays. We must learn to say no and only do the events that are epically effective. We have to make sure that we are not doing too many events because in reality the same volunteers that pour their hearts out on Sundays are the ones who step up to help run events. When we do too many events we lose focus on what’s most important, the Sunday morning experience, we exhaust our team, and we exhaust our resources. At GCC we have cut events for the next two years in preschool and K thru 5th except for an Easter Event, a Preteen Camp, and Trunk or Treat. Other than that we’ll pour into Sundays and make them as epic as possible. a. Streamline take-home tools as much as possible . . . and start by asking parents directly what tools they want from the church to help them invest in their children during the week. b. Keep it simple and practical . . . the birth of a true partnership between church/home consists of parents knowing their child’s small group leader and parents using take-home tools that are effective. No need to make it more complicated. c. Maintaining realistic expectations . . . we can’t expect for every parent to partner with us exactly how we want them to. Some of our parents don’t even use our take-home tools at Grace, but yet they are reading the Bible together as a family every night, that’s awesome! Some parents are new to church so just seeing them every Sunday is a win . . . they might not do anything during the week, but at least they are showing up! That’s worth celebrating! 2. Where do you think curriculum companies are getting it right when it comes to helping you be more effective? Where are they missing it? a. Sometimes in a curriculum’s desire to be fun and cool . . . they bypass the need to keep it simple and focus on the core of what a growing follower of Jesus needs to experience. A solid understanding of our faith in Jesus, time to explore God’s Word and an understanding that our lives need to be engulfed in His truth, the power of prayer, and so on and so forth. b. I think most curriculum tries to expose truths that are over a child’s head . . . they are getting ahead of themselves. Why focus so much energy on character traits when a child doesn’t even understand the cross? In today’s culture, even “churched” kids do not have a firm understanding of who Jesus is, the power of prayer, and what it looks like to pursue Jesus and develop a growing relationship. 3. If there was another online blog / website with content & resources you were going to follow… What is something they could do to provide a “wow” experience that exceeds expectations for you and others in kids ministry? I can’t stand fluff (part of the reason why I no longer care for most conferences these days) . . . blogs that express general ideas about kids min are a waste of my time. I want to read about practical stuff presented by leaders on staff or volunteers in the trenches at a church focusing on the nuts and bolts of what’s working well in their ministry and how they put it together. Or maybe blogs about what not to do . . . failures for the rest of us to learn from. Every kids min staff member and volunteer, especially small group leaders, must go out of their way to welcome and engage parents and kids as they are being dropped off. This was something I should have focused on when I first became a kids pastor, but it wasn’t until I experienced an unwelcoming environment myself, as a parent, that I realized the power of greeting parents and welcoming kids into our environments. A Strong Welcome: For starters . . . Emma calms down and stops crying. Emma may not be ready to leave me to join the class, but the teacher becomes the bridge for that to happen because he/she has acknowledged Emma and created a sense of warmth. In that moment Emma is willing to disengage with daddy and lock in with her teacher. As for me, the parent, I feel like my child is in good hands, I feel a sense of joy that my daughter is emotionally stable, and I leave Emma with a positive experience under my belt and I’m ready to take on the day. A Weak Welcome: Since we are not being approached and welcomed, Emma feels no excitement about leaving me and joining the class. She becomes upset and then the “waterworks” begin. Her reaction alienates her from the other children, and honestly I feel alienated in that moment as well. 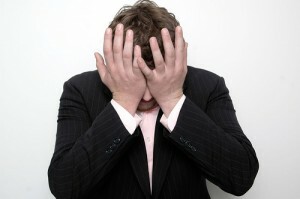 I’m embarrassed because we are disrupting the class, and since no teacher is approaching us I have no guidance and I’m unsure about what to do next. To top it off, seeing Emma upset breaks my heart so now I’m a bit emotional. I leave Emma sometimes a little frustrated, and so I now have to shake off that negative experience in order to adopt a more positive attitude. This is not to bash my little girl’s daycare because it’s an incredible place with awesome teachers. As a matter of fact I would say that all the teachers at my child’s daycare are EPIC and I personally feel like her school is the best in our city, if not the state of Tennessee. It boils down to some teachers having the gift of welcoming and some who do not. And I truly believe that you can still be a great teacher but not have the gift of welcoming. Here’s my point, when it comes to our Kids Ministry . . . whether you have “the gift” or not, whether you’re busy with a group of kids or not, whether you are in a good or grumpy mood, talkative or quiet . . . you must push past all of that and be a super strong welcomer! One of the worst things a kids min staff person or volunteer can do at Grace on a Sunday is to ignore a parent and child as they walk into an environment and not a single leader says hello and helps facilitate the transition for a child to leave mom and dad and join the group. At Grace we struggle with this same problem . . . heck, I even struggle with this. But as a ministry our ultimate “win” is to value and love parents and kids like family. 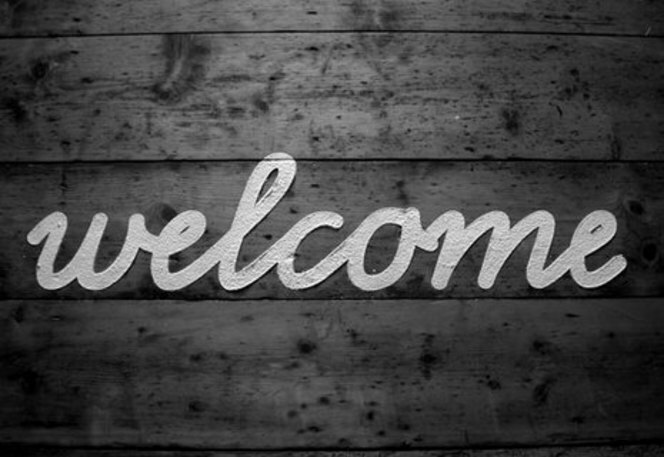 For us to even begin to do this well it starts with a strong welcome. The welcoming of a child into a small group setting is probably the first meaningful interaction they’ll experience at church. That moment will set the tone for both parent and child for that service. I understand that this is easier said then done . . . especially with how busy Sundays in Kids Ministry can be, but you’ll make something happen if you truly value it. We need to learn to value the welcoming experience for parents and kids so that each of us, in our own unique styles, can make sure that we’re being intentional about approaching EVERY parent and child with a smile and with warmth. When we fight to make this happen we become the bridge for kids to disengage with mom and dad and enter our environments ready to connect, worship, and learn . . . and we create a moment of sensitivity that most parents need in order to drop off their kids ready and prepared to worship their Savior with other believers in the adult’s worship service. It’s hard to do sometimes . . . at times we do not “feel” welcoming . . . but if we learn to value the power of a welcoming environment we’ll make it happen! It’s one of the most important things we need to do well in Kids Ministry. The ugly truth is, approximately 85% of kids brought up in church will walk away after turning 18. As tragic as this truth is, the good news is that God has created a game plan to fight against this statistic. With the help of people willing to invest in the next generation, we can work together to eliminate this unsettling truth. 85/15 is a movement designed to help Grace Community Church to better invest in children and students. 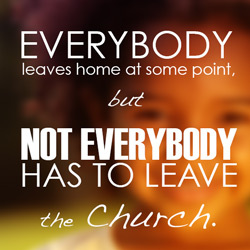 Because even though every child will leave home at some point, not every child has to leave the church. We believe that the church is the place that offers hope for everyone and we want the future generations to be plugged-in to a place like that. That’s why our church is committed to partnering with families to help the next generation follow Jesus. We want to do everything in our ability to help kids from preschool through college experience church the way Christ intended it to be, so they won’t walk away after high school. For us to reach that goal, everyone at Grace has a part to play: Pray, Recruit, Volunteer, and for parents, Partner. Also, if you would like to set up a Test Drive to see our Preschool, Elementary, Student, or College Ministry in action, then simply contact me (the Children’s and Preschool Pastor at GCC): adam@gcomchurch.com or 1-931-802-3585 (cell). As we wrap up 2013 and get ready for another great year, I hope that each of you will pray about volunteering at GCC as one of your New Year’s Resolutions. The life changing power of serving is exactly what so many of our church family need in order to experience that next step in their spiritual journey. I should know since I dealt with this issue myself. When my wife and I were living in Chattanooga we found an incredible church. We made the commitment to attend on a regular basis, and that was a great first step. But soon I noticed I had stopped growing in my relationship with Jesus and my journey seemed to have reached a dead end. I remember asking God why I wasn’t progressing in my spiritual maturity, and soon afterwards a church member approached my wife and me about teaching their “20’s Sunday School Class.” We ran through the common excuses: we didn’t have time to commit, we didn’t know enough about the Bible, and Sunday was “our” day to relax. Within a few days I responded, with great hesitation, by saying, “Sure, we’ll give it a shot.” I instantly felt like my spiritual growth was back on track. On top of that, our church experience went from a “what-can-we-get-out-of-it” mentality to a “what-can-we-do-for-the-people–of-our-church” mentality. All of our excuses melted away, and in its place God birthed a true partnership with our church and a faith in action. Knowing the power of volunteering in my own life, I would like to challenge anyone currently not serving to get off the sidelines and dive in headfirst! In the kids ministry at Grace Community Church we have many volunteer roles to fit your personality. Email me at adam@gcomchurch.com so that I can set up a chance for you to observe our kids ministry in action. After that you can make an educated decision as to whether or not it’s the right fit for you. If not, I’ll help you set up a time on Sunday to see another ministry in action. The question isn’t whether or not you’ll make serving at GCC a New Year’s Resolution, but rather will you let another year go by where you simply watch church happen, instead of being an active part of the Body of Christ and allowing Jesus to use you to make church happen? Stop wondering why your faith is stuck, simply do something at GCC, and watch your faith reach heights you never dreamed possible. Imagine if every person that calls GCC “their church” simply did something to invest in Grace . . . all of those “somethings” would add up to an incredible movement that could impact all of Clarksville. Step up and step out in faith. 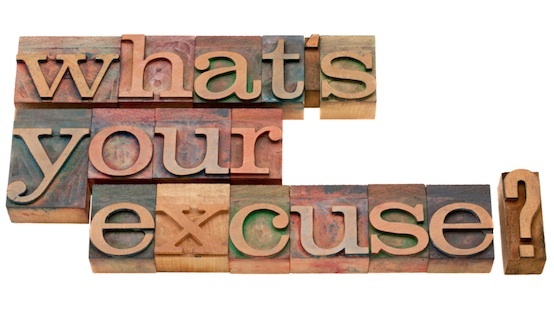 Leave your excuses behind. Become a kingdom builder at Grace Community Church. I was reminded this week why I schedule stuff out in great detail. You see, last week I was away at a conference and failed to plan ahead what my week would look like upon my return. So this week I had no set schedule . . . sure, I knew what I needed to accomplish but it wasn’t set in stone on my calendar. So what happened? I got it all done . . . but it was a stretch . . . it was messy . . . I was late on an assignment . . . and I was stressed! So today I focused on setting up my schedule for next week so I can get back on track. 1. Schedule for the year . . . It is important that I have my entire year mapped out with all the events in Kids Min, church-wide events, and personal stuff like vacations and B-Days. Be as detailed as you possibly can be . 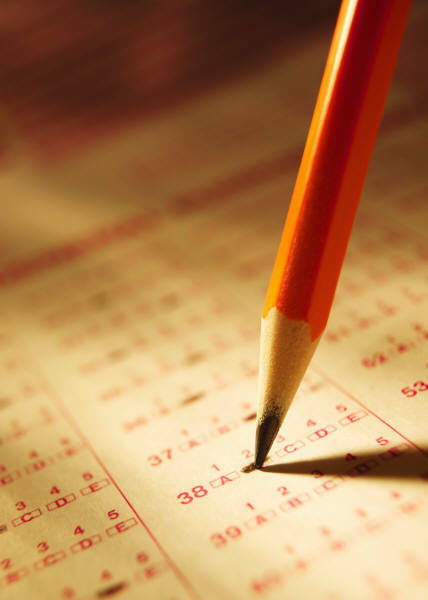 . . and also include all the steps and deadlines it will take to prepare for a particular event. 2. Schedule for the week . . . 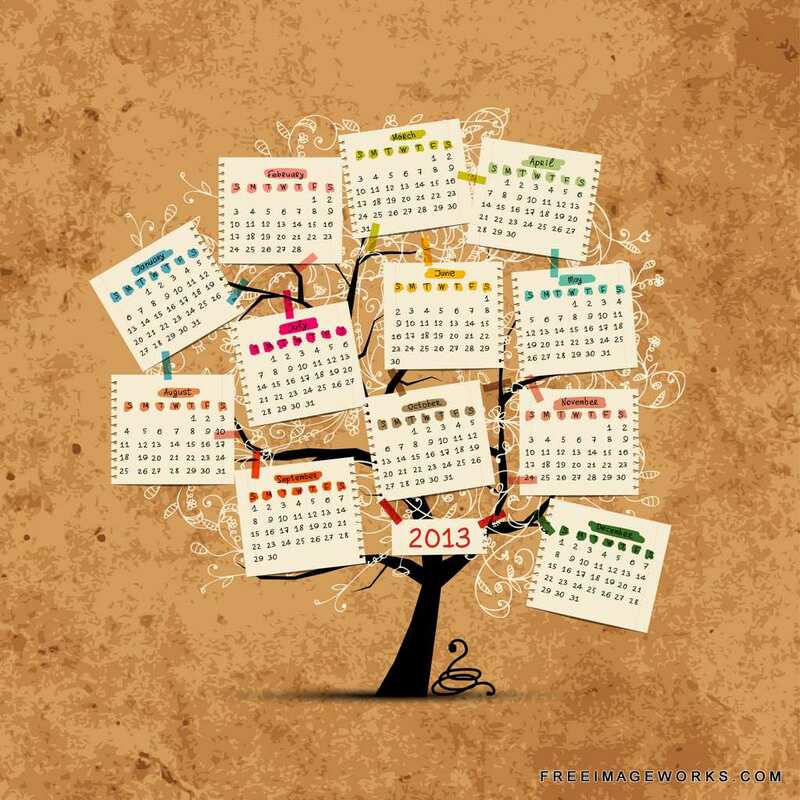 I know some folks who schedule out their weeks in great detail months or even a year in advance . . . and that’s awesome! For me, I like taking Thursdays to plan out what my schedule will look like for the following week. 3. Post your schedule in more than one spot and stick to it . . . I use the calendar on my computer, my phone, a wall calendar, and I write it out on my dry-erase board. As I enter dates and times on my calendar and write it out I’m locking in these events in my brain . . . making my weekly schedule almost a part of my DNA. I also set alarms on my computer and phone to remind me 15 minutes to a day in advance about an appointment. Once all this is done . . . stick to it! Someone texts you saying they need to talk and it’s not an emergency, then schedule that talk for the following week so you can give that person a full 45 minutes to an hour if need be . . . it’s not rude to do this. In fact, asking someone to wait until next week is showing great respect because what you are saying is that they are worth your full and undivided attention. 4. Decide for yourself what situations and who can destroy your schedule . . .
My pastor needs me . . . BOOM . . . I’ll let him crash into my schedule without a second thought. My volunteers want to meet with me . . . BOOM . . . my schedule is out the window. A parent wants me to talk to their child about salvation and baptism . . . BOOM! My little girl or my wife needs me . . . BOOM . . . I’ll reschedule stuff to make that happen. Solidify in your mind what you are willing to demolish your schedule over . . . it will help I promise. Do this or take it even farther for three months and you will become more productive and will be less stressed . . . go for it. Who are you? You are the loved one of the Supreme Ruler of all–loved with limitless, perfect love that never fluctuates or changes. What are you like? In me, you are valuable and desired – included forever. Where are you going? What is the meaning of your existence? I have given you the greatest destiny possible – to be my very own for all time and eternity – sharing my love and purposes. You are somebody because somebody loves you! I love you! Believe that today. I shed my own blood for you. You stand forgiven before the Almighty King. You are precious in my sight. Whenever you get discouraged or down on yourself, remember that my grace is sufficient and my mercies are never ceasing. Remember that I promise to meet your needs according to my riches and fulfill your desires with good things. Look to me. It’s in me that you’ll find fullness of joy and pleasures forever. You are so loved! You are a special creation – unique and wonderfully designed by God’s perfect hands. I have a plan for you. I will use you. Remember that I am slow to anger and abundant in loving kindness. You are my chosen child and you share in my treasures. All I have is yours too! I have filled you with my love, my joy, my peace – walk in my victory today! Relax in my grace – cease striving. Let me do all through you. I hope in reading the letter above that it reminded you of the amazing love and grace you receive from this world’s one and only Savior, and I also hope that you remember the importance of what you do each and every Sunday . . . you’re a part of a “Jesus-Movement” that helps kids understand everything in the letter above. God uses Jesus Followers to show the world who He is, and God has chosen you to show the kids at GCC what it means to be a follower of Jesus. The love you pour out in Kids Ministry is the love given to you by a Savior who died on a cross for you and for each one of the wild, snot-nosed, sometimes smelly kids under your care. Don’t forget . . . this is your ministry! The group of kids you serve, that is the fertile soil that God has placed before you. So continue to give your very best to God by planting the seeds of love, hope, and joy that you have been given from God. By doing so you are carrying out the mission . 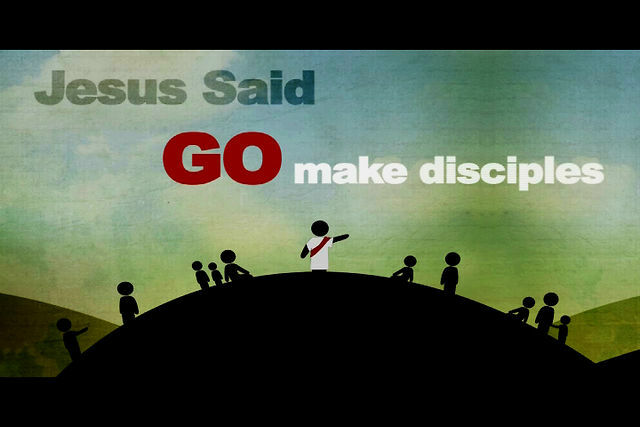 . . to go and make disciples . . . to be used by the Holy Spirit to help others become followers of Jesus. By serving, you are also setting the example for the rest of the adults at Grace. You see, Grace Community Church does not exist to simply see people converted (although that is awesome), but instead we exist to help grow disciples (TRUE FOLLOWERS OF JESUS). And if you are a true disciple of Jesus then you are investing in others, teaching them in the ways of our Savior. Kids Ministry Volunteers, that’s exactly what you do every Sunday. Because of your obedience conversions and discipleship is happening . . . you, my friends, are the real deal. This is a difficult thing to talk about for most Kids Min leaders. Why? Because we love volunteers! Because the heartbeat of our ministry is an awesome God that works through our volunteers to impact the lives of parents and kids for Jesus. These folks are not just names on a roster . . . these are our partners in ministry . . . folks who have decided to be a part of a movement. So we find it hard being honest and open about the few on our teams that always seem to find the negative in every situation. Now let me clarify what I mean by a negative volunteer. These are the folks that have an addiction to find fault in everything; they “nit-pick” issues of little importance. Folks in this category never offer solutions, and negative volunteers show up on Sundays unprepared with little motivation until they have the chance to share with others everything the kids pastor and staff are doing wrong, that’s when they seem to perk up. A while back I was continually receiving reports about one of my teams simply having a negative attitude overall, and once I did some investigating I quickly found out why. A few members of the team were negative volunteers. Thankfully, shortly after, those few either moved away or stepped down . . . and guess what happened . . . we found new, positive leaders to replace them and all is well with that team now. That’s the reason dealing with negative volunteers is so important. NEGATIVITY SPREADS faster than you could ever imagine. Ask God to change their hearts, to give you the desire to reach out to them, or ask God to move them out of the ministry and into one that will bless them. I can’t tell you how many times I’ve given these situations over to God and then find out the next month, week, and even day that the person involved is moving away or stepping down. In other cases God has given me the right words to say at the right time. Seek God before diving in! In love, set aside time to meet with your negative volunteer and be 100% honest with them about what you think is going on. Allow them plenty of time to talk as well in order to respond! You want to walk away with clarity about where his or her heart truly is as it relates to Kids Min. From there, be sure to take out time to come alongside them and help that person grow . . . to stretch them. Follow up with them by phone, over coffee, notes, and emails. And keep a close eye on them to see if things improve or stay the same. In the end it might just come down to you having a tough conversation . . . face to face. Some negative volunteers will never make the decision to step down and you will simply have to make that decision for them. Celebrate their strengths! Celebrate the good they’ve done! And reinforce your decision that kids ministry is simply not a good fit. Let them know that you will be more than happy to help them connect with another ministry. BOTTOM LINE: I’m learning to not put this stuff off because it’s difficult. One person with a bad attitude can infect an entire team . . . it’s too important to ignore. But I’m also learning to always give people second chances . . . to help them defeat the negativity. But in the end it’s my role as a kids min leader to pray for them, confront them, invest in their lives, and in the end make the tough decision, all the while handling every moment with grace and love.